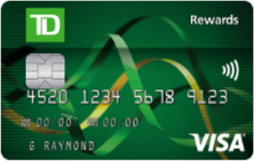 Earn 6% on eligible purchases for the first 3 months1 up to a total spend of $3,500. 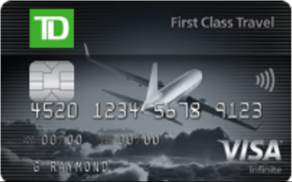 Limited Time Welcome Bonus : Up to 80,000 TD Points1 plus get a Full Annual Fee Rebate1 for the 1st year. 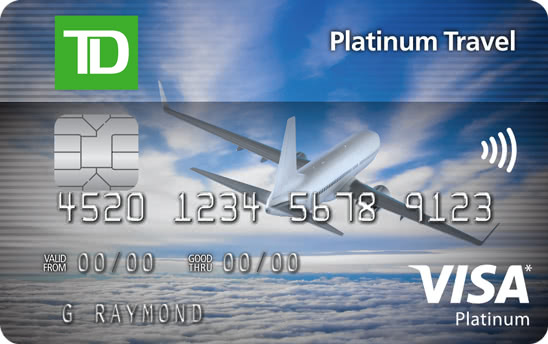 Limited Time Offer: Get up to 25,000 TD Rewards Points1. 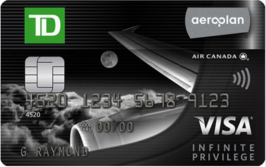 Plus, get a full Annual Fee Rebate1 for the Primary Cardholder for the first year. 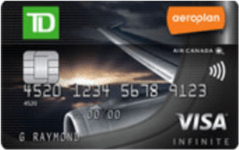 30,000 Aeroplan® Miles plus 1st year annual fee rebate for the primary cardholder. Conditions apply. Offer ends June 2, 2019. 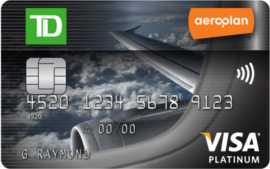 Welcome Bonus : Up to 50,000 Aeroplan® Miles (that's equivalent to 2 long-haul roundtrip flight rewards)1. Conditions apply. Offer ends June 2, 2019.